“These tests on monkeys or even humans are in no way ethically justified,” said Merkel’s spokesman Steffen Seibert. Earlier Monday the Sueddeutsche and Stuttgarter Zeitung dailies reported that a research group funded by Volkswagen, Daimler and BMW had measured the effects of inhaling nitrogen oxide gases on 25 healthy human beings at a German university hospital. Volkswagen apologised for the animal testing at the weekend, saying the group “distances itself clearly from all forms of animal abuse”. “This has once again damaged trust in the auto industry,” he said. It was VW’s admission in 2015 that it had manipulated 11 million diesel cars with cheating software to make them seems less polluting than they were that brought close scrutiny to the industry, which had long touted diesels as better for the environment than gasoline-powered engines. Several German cities grappling with air pollution are now mulling diesel bans. 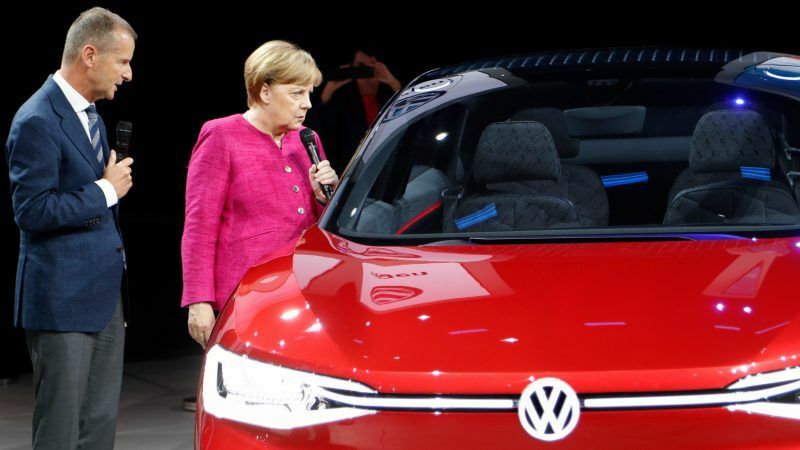 All three German carmakers have distanced themselves from the research body in question — the now defunct European Research Group on Environment and Health in the Transport Sector (EUGT) — and promised to launch internal investigations. “The BMW Group did not participate in the mentioned studies,” the luxury carmaker said in a statement. “We are appalled by the extent of the studies and their implementation,” a Daimler spokesman told AFP. While it was the EUGT that commissioned both tests, the organisation itself was financed by the trio of car giants hoping its research would defend diesel’s green reputation — and the valuable tax breaks that go with it. The researchers detected “no significant effects”, according to a summary of the study. But Thomas Kraus, the head of the relevant department at the university hospital in Aachen, told German media the findings were limited as they weren’t representative of the wider population and didn’t take into account general air pollution. The institute released a statement stressing the study had been approved by the university hospital’s ethics commission. The study was carried out before “dieselgate” erupted and was not linked to diesel emissions testing or to experiments involving monkeys, it added. Exposure is “linked to premature mortality… from cardiovascular and respiratory diseases,” it states. The premier of Lower Saxony, whose state is home to VW’s Wolfsburg headquarters and is one of the group’s biggest shareholders, echoed Berlin’s repudiation of the tests. The experiments are “absurd and disgusting” said Weil, whose state holds two seats on VW’s supervisory board. He reminded the VW group that it “must meet all ethical requirements”. The latest scandal “will have a lasting impact on the public’s trust in the auto industry,” predicted analyst Ferdinand Dudenhoeffer of the Center for Automotive Research.